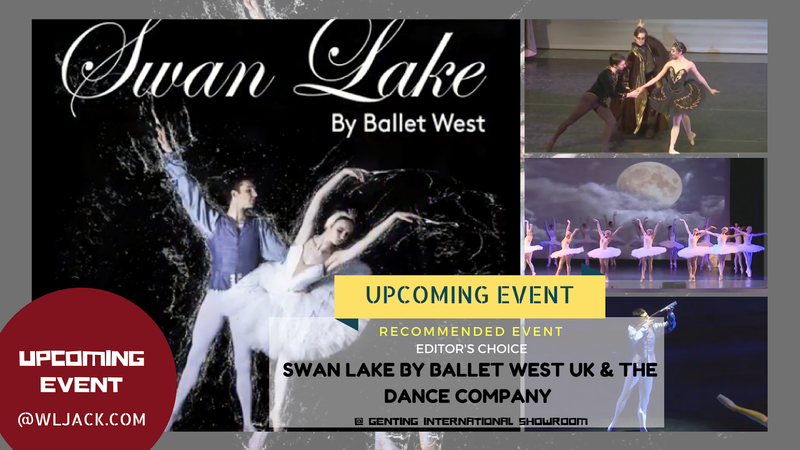 DANCE INTO THE MAGICAL WORLD OF TCHAIKOVSKY’S SWAN LAKE AS BROUGHT TO YOU BY THE WORLD-CLASS DANCERS FROM BALLET WEST UK!! Genting Highlands, August 2018 – Ballet, a widespread and highly technical form of dance is believed to have originated during the Italian Renaissance and made popular by the King Louis XIV’s court throughout history. Ballet is an artistic dance form performed to music, using precise and highly formalized set steps and gestures. Classical ballet, which originated in Renaissance Italy and established its present form during the 19th century, is characterized by light, graceful movements and the use of pointe shoes with reinforced toes. Today, the dance form has evolved into a globally influential force and has defined the foundational techniques used in many other dance genres and cultures. It is precisely this reason why it is so beloved by audience all over the world and why ballerinas in the world earn respect and awe for their dedication to the prestigious art form. 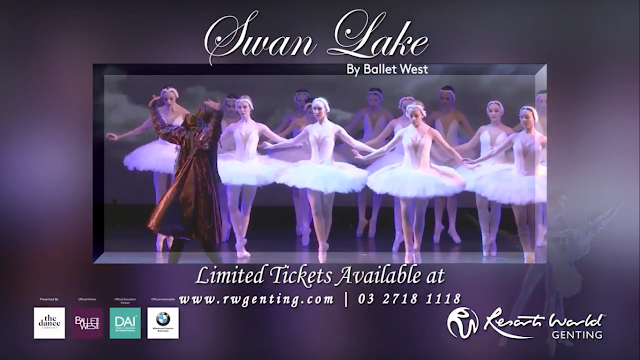 For the first time ever in Malaysia for their Asia Premiere, a professional full-UK ballet cast is bringing Tchaikovsky’s iconic and mesmerizing Swan Lake to glorious life in a full-length performance at the Genting International Showroom at Resorts World Genting. With six spectacular shows set to be staged from Aug 24th to 26th, and from Aug 31st to Sept 2 nd, be ready to marvel at the graceful moves and pirouettes executed by the masterful dancers from Ballet West UK, as led by soloists Jonathan Barton, Natasha Wilson and Uyu Hiromoto. 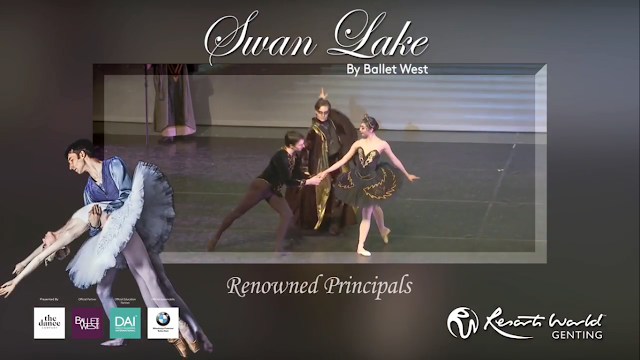 Ballet West UK, one of the pioneer in the world of dance, has been responsible for building numerous success stories in the ballet world for over 28 years—which is why you are in for a treat when the curtains lift for this production. They have a track record of sold out performances in more than 40 cities in UK, Europe and China, including Swan Lake in Scotland, Romeo & Juliet in China and Nutcracker in China. Putting a production together was never an easy task. It takes a team of dedicated, passionate and talented team whether it is on the front or at the back-end production to see things through till the very end. 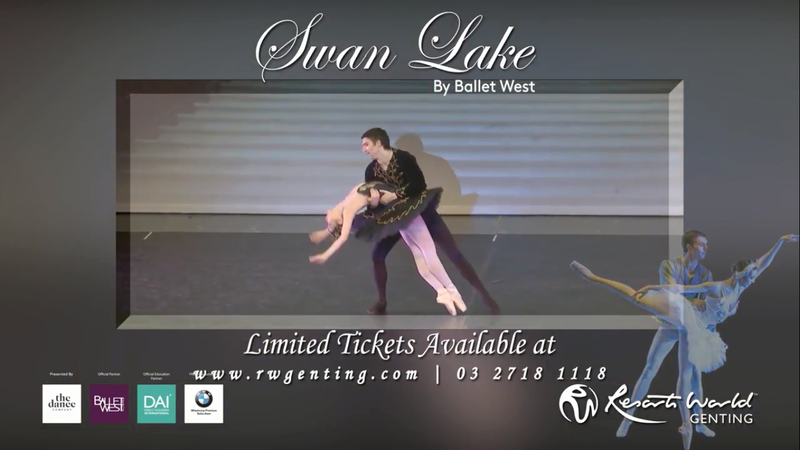 Swan Lake by Ballet West was no exception. In fact, it took a team of 40 people with top ballet master Daniel Jobs; one of the few ballet masters left in the world who has worked with legends like George Balanchine, Margot Fonteyn and John Cranko , and the creame de la creame of the ballet world to come together to produce this show in a span of 6 months. The dancers of Swan Lake by Ballet West UK goes through a series of auditions to ace the areas of versatility, strong technique, creative improvisation skills and powerful-presence in dancers. “We want to see how the dancers use their movement vocabulary to move and express in the respective roles. Out of 113 that auditioned, we’ve selected 11, to join our existing company, for Malaysia.”, said Daniel Job. Aside from observing a strict diet, the dancers are required to adhere to vigorous training programs to prepare them both physically and mentally for each of the role they played; and that would means back to back daily full rehearsals throughout training periods that could lasted up to five months. The other most important elements in a ballet production are the very fine details to costumes. Showcasing only the very best for this production, the costumes in Swan Lake by Ballet West UK are all individually hand sewn pieces. The very best fabrics from Scotland and the US were specially flown to the UK where they were individually hand sewn by the wardrobe mistress ; with each tutu costing up to 2000 pounds and will require up to 90 hours to make with about 100m of material. A ballerina’s pointe shoes are yet another important aspect to the production’s costume. As dancers have different type of feet and toe length, arch flexibility and strength, all pointe shoes in this production need to be customized and handmade in the UK. The shoes are wrapped in beautiful satin and each shoe has a life-span of about 12-15hours each. So the entire Swan Lake Production may go through about 500 pair of shoes, just for the time we they are in Malaysia! With a production with high stakes like Swan Lake by Ballet West, you will find only the best of the best at the helm; in this case, it is choreographer extraordinaire Daniel Job who also serves as artistic advisor and ballet master for this production. 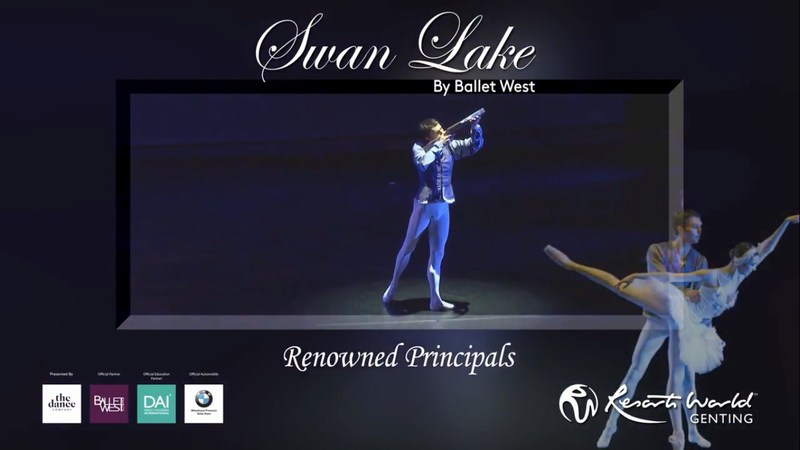 He has won awards like the Maya Plisetskaya Competition Russia and his amazing body of work can be found with George Balanchine, Dame Margot Fonteyn, American Ballet Theatre, Geneva Opera, Deutche Opera Berlin, Les Ballets de Marseille and the Royal Danish Ballet. Rounding up the all-star cast are talents from The Dance Company & Ballet West International Touring Company like ballet master Jonathan Barton and Natasha Watson. The former is a Genee medalist coach while the latter is an actress, a budding choreographer, a Genee medallist and the only British dancer to compete at the Prix de Lausanne in 2015. Get ready to be swept along in the Swan Lake adventure in a 150 minutes show including intermission that will leave you agape at the beauty and grace of ballet accompanied by beloved pieces of musical work. Go on and grab those tickets for this can’t-be-missed show. Tickets starts from RM388 and above and are available for purchase at www.rwgenting.com. Another must attend is an exclusive Ballet West International Masterclass, conducted by Fenton—a versatile dancer from many disciplines that range from contemporary, ballet and jazz. Fenton, together with ballet mistress & professor of applied gymnastics for ballet, Sonia Fajardo will be at hand to tutor aspiring ballerinas longing to turn this art into a lifelong vocation—with helpful tips and showcase to improve your work. Priced at RM585 per masterclass, the masterclasses are available on 22nd August, 23rd August, 24th August and 30th August at the Arena of Stars, Genting.